As part of the top management, Mistry played a major role in HDFC's forays into banking, insurance and asset management. The Vice Chairman and CEO of HDFC joined the company because he did not want to leave Mumbai. When Indian Hotels Co. - which runs the Taj Group of Hotels - gave Keki Minoo Mistry a promotion in 1981 which required him to shift to Goa, he decided he would rather quit. "My mother would have been left alone," says Mistry, who lost his father while in college. He soon had three offers - from Indian Sewing Machine Co., Citibank and HDFC. Rejecting the first one was understandable, but why did he prefer the fledgling HDFC to the global Citibank? "Many people told me I'd end up doing repetitive work or get stuck in a single profile for a long time at Citibank," says Mistry. And what were the merits of HDFC? "It was a young organisation, a new business with high growth potential and the opportunity to learn and rise." He joined HDFC's finance team as an assistant manager in October the same year. And rise he did, as did HDFC. A pioneer in offering home loans and the largest non-banking finance company in the country today, HDFC, begun in 1977, now has a market cap of around Rs 1,75,000 crore - higher than that of telecom major Bharti Airtel or FMCG giant Hindustan Unilever - with profits of nearly Rs 5,440 crore in 2013/14. Mistry, 60, got his first promotion to Manager in 1985, but the giant leap up came in 1993 when he was made Executive Director and a member of the HDFC board - at age 39, its youngest. He was appointed Managing Director in 2000 and finally Vice Chairman and CEO in 2010. The secrets of his success are traditional ones - high capability and hard work. "He is a financial wizard, a man of numbers," says HDFC Executive Director V.S. Rangan, who has worked with Mistry for three decades. 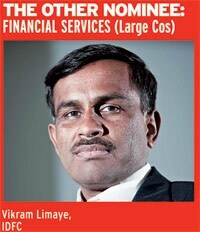 "He brings integrity to HDFC. He has been steering the company along the growth path, motivating the staff and managing shareholder expectations." Deepak Parekh, HDFC Chairman, is equally effusive. "He is very sincere, hardworking and a thorough gentleman as most Parsis are," he says. Mistry also has immense discipline. A keen cricketer in his youth - he specialised in spin bowling - he found, not long ago, his left knee hurting severely from overuse. His doctor told him his portly frame was also responsible. The doctor gave him two options - knee replacement surgery or weight reduction. He preferred the second, which as is well known, is easier said than done. But Mistry pulled it off, losing 26 kg in 18 months. "I need to lose another 10 kg," he says. How did he do it? Mistry makes light of the matter. "I'm lucky I'm never hungry," he says. "In the financial services business, one should not look only at market share. [It] can be increased by lowering margins with lower interest rates or diluting lending standards..."
He is also unflappable. "In the many years we've worked together, I've lost my temper on many occasions," says Parekh. "But I have never seen Keki lose his." It is a trait Mistry picked up from his first boss at HDFC, the man who set up the company, H.T. Parekh. "He shaped the way I grew in the organisation and developed as a person," says Mistry. "I never saw him lose his cool." Deepak Parekh also remarks on Mistry's hands-off management style. "He delegates well and gets the work done," he adds. Finally, Mistry attributes his success at work to the fact that he enjoys it. "The day you look forward to the weekend and hate coming back to work on Monday, you should leave the organisation," he says. Alongside the challenges, however, was the thrill of working with the board members, some of whom had formidable reputations. "It was terrific exposure, sitting next to veterans like Russi Mody (the legendary former chairman of Tata Steel)," he adds. Other business legends on the HDFC board then included Keshub Mahindra, N. Vaghul and M. Narasimham. As part of the top management, Mistry played a major role in HDFC's forays into banking, insurance and asset management. HDFC Bank was set up in 1994; HDFC Life Insurance and HDFC Asset Management Co. in 2000; HDFC Ergo (for general insurance) in 2003. "His efforts have been crucial in transforming the company from a mortgage lender into a leading financial conglomerate," says Rangan. Mistry recalls how the collaboration with Standard Life, UK to set up HDFC Life came about from a passing remark he made. In 1995 he met a group of investors in his office, which included John Allen, a fund manager from Standard Life. (Foreign institutional investors currently own 77 per cent of HDFC.) Asked about future business plans of the company, Mistry said: "At some point one of the things we will look at is insurance." The report of the committee headed by former Reserve Bank of India governor R.N. Malhotra, recommending entry of private players into the insurance sector was already out and HDFC had been making plans to enter the sector whenever that happened. Even so, it came as a surprise when, soon after, Deepak Parekh received a letter from Standard Life suggesting a joint venture. HDFC Life - then called HDFC Standard Life - was set up soon after the sector was opened up. The subsidiaries together currently contribute 31 per cent to HDFC's total revenue. HDFC Life is among the top three private life insurance players. But the biggest success has been HDFC Bank -where HDFC owns 22.5 per cent -which has surpassed the parent on key parameters. HDFC Bank has a market capitalisation of Rs 2,22,000 crore against HDFC's Rs 1,75,000 crore. Its total annual income of Rs 41,135 crore is way ahead of HDFC's Rs 24,143 crore. The year 2000 proved particularly challenging for HDFC. That was when the two largest banks in the country, State Bank of India and ICICI Bank, also ventured into home loans, offering lower interest rates than HDFC. With vast low cost deposits of bank customers at their disposal, they could afford to do so. (Even today, HDFC's rate of 10.15 per cent for home loan is marginally higher than SBI's 10.10 per cent.) Initially, investors asked uncomfortable questions, but Mistry was unmoved. "In the financial services business, one should not look only at market share," he says. "Market share can be increased by lowering margins with lower interest rates or diluting lending standards. But that is not a sustainable long term strategy." Despite its higher rates, HDFC has continued to grow its profit at a compound annual growth rate close to 20 per cent. Its net non-performing assets figure is in the negative as it has over-provided for assets. Similarly, despite the post-2008 downturn, HDFC has been increasing its share of retail loans. Individual loans account for over 70 per cent of its loan book against 66 per cent five years ago. Indeed, in 2013/14, 85 per cent of the incremental growth of the loan book came from individual loans. HDFC, however, did succumb to the temptation of teaser loans after the SBI introduced them in February 2009. (These are loans with a fixed interest rate for the first three years, with a floating rate kicking in thereafter.) The RBI subsequently frowned on such loans and market players had to discontinue them. Mistry believes the home loan market's potential is immense. "Sixty per cent of the country's population is below 30," he says. "All these people will need to buy homes." Mortgages in India constitute a mere nine per cent of the gross domestic product against 17 to 18 per cent in China, more than 65 per cent in the US and over 80 per cent in the UK. "Penetration has to go up in the next five to 10 years," he adds. Lately, he has been busy strategising two new verticals as well - education and property funds. Both are promising new businesses. "We are steadily building them," says Mistry.